Three out of four of my kids inherited their dads Norwegian sensitive skin and it has taken me years to figure out what works to keep their skin from over drying and getting rashes. Two of my kids get rashes around their eyes just from crying, and don't even get me started on the lengthy sun screen efforts I have had to go to. 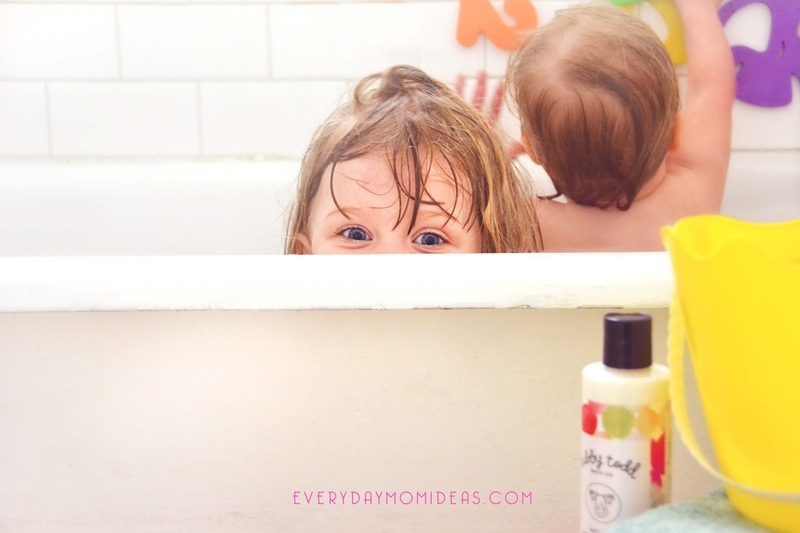 But through the years we have figured out some tried and true mom hacks to keeping their skin healthy and moisturized with just a little effort on our part. 1. Don't Bath Every Day: Somehow it started in the 90's that you need to shower and bath your kids everyday or you are a bad dirty parent with dirty flea ridden children. Now we know that all that over cleaning has actually been harmful for our immune system and even our skin. 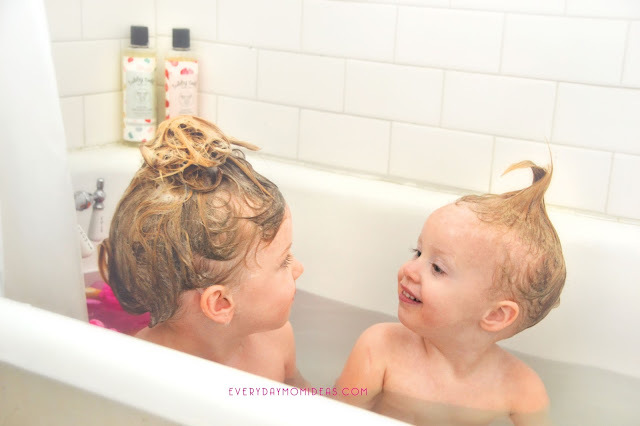 We bath our little ones twice a week and just try to do a good face and hands wipe down after meals and before bed instead of a full bath. On especially dirty outdoor play days they do get an extra bath in. 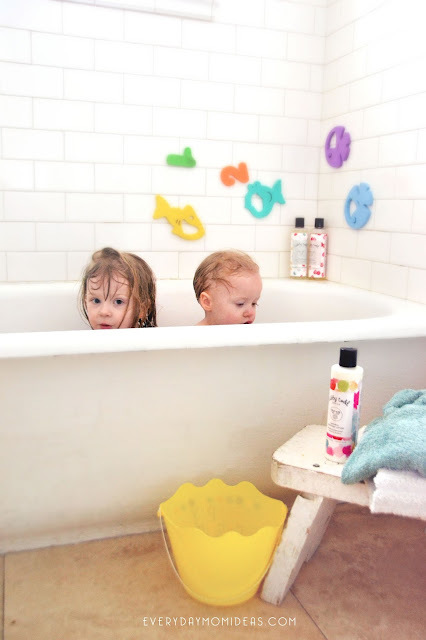 When we bath our kids more than twice a week their skin gets super dried out and starts to develop a rash, even with all the extra lotion applications. 2. 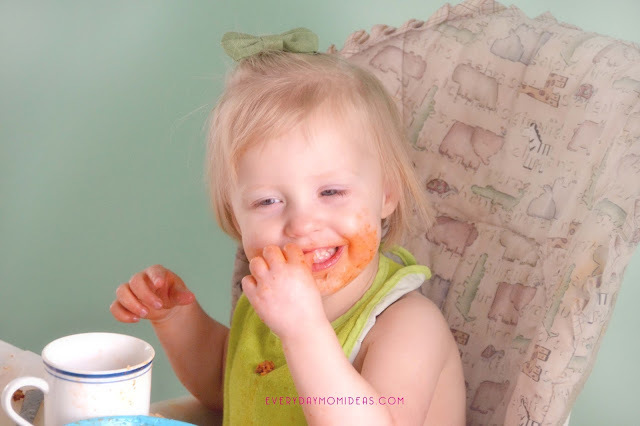 Lotion After Every Meal: We remember to wash our kids up after every meal but we usually forget to add lotion to. We have hard water where we live and just washing their faces after a meal can easily make their skin red and angry. Take washing away the "spaghetti face" one step further by adding a little moisture back to their precious skin after washing. That one little extra step will help a lot in keeping their skin soft and happy. 3. Utilize A Humidifier: A little mom life hack is utilizing your humidifier especially during the dry winter months. We live in dry Utah where winter is the worst on sensitive baby skin. Adding a little humidifier to the nursery will help add some much needed moisture back into the dry winter air. Even a cute little essential oils humidifier is better than nothing. 4. Sunscreen Has Moisturizer: Sunscreen has quite a bit of oils and moisturizers in it and is the perfect thing to use daily to protect babies skin from sun damage and from drying out. Applying sunscreen is just a good daily summer habit to get into. 5. 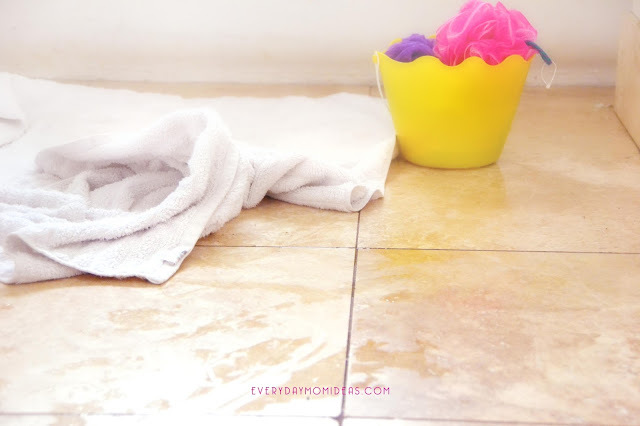 Protect Skin From Carpet: A lot of skins moisture gets taken away by carpet and other fabrics. For most of our lives we didn't even think of carpet as a dry skin hazard but carpet has been stealing the lotion right from under our feet since its invention. LOL! We now put socks on our little ones feet after bath time and lotion to keep the lotion from begin absorbed too much elsewhere. We also use footed pajamas to help keep in the lotion just a little bit longer as well. 6. 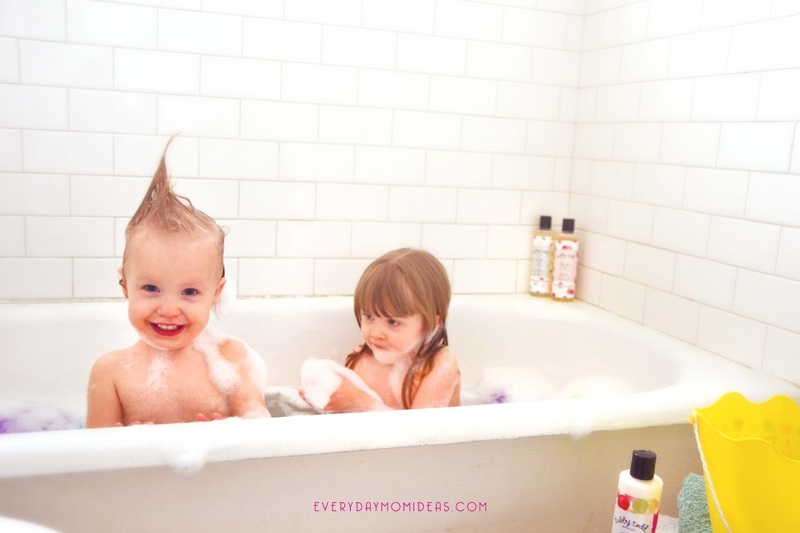 Use Quality Baby Bath Products: A lot of cheap tear free baby products are overdrying our kids skin and are only making dry thier sensitive skin problems worse. It has been beyond worth it to use higher quality baby bath products and save ourselves and our little kiddos some unneeded trouble. I discovered Tubby Todd baby bath products a while back and loved that all of their bath products are geared towards babies and little ones with sensitive skin. This is a great local Utah buisness and was created by a Mom (of course) who was tiered of using baby products that were full of harmful chemicals and that was over drying her Utah babies sensitive skin. 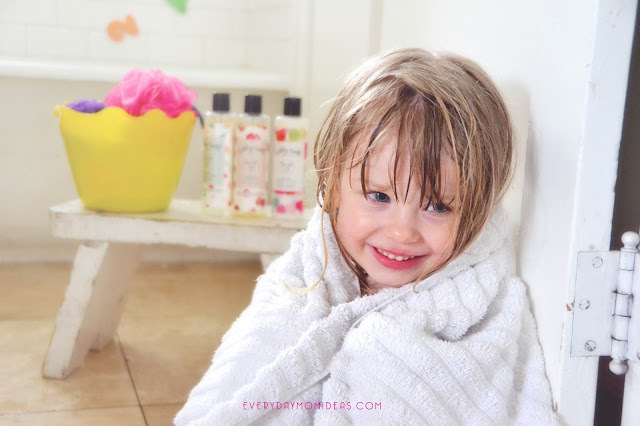 So she decided she needed to invent her own plant based bath products with sensitive baby skin in mind. Yay for us! I love that all her bath products are one hundred percent made with natural ingredients and still do a powerful job cleaning. My daughters hair has never been so shiny! She also goes a whole step further and makes her bath products with fun scents like Jelly Bean and Raspberry Macaroon. I got the Tubby Sweets Bundle that comes with Jelly Bean Hair and Body Wash, Raspberry Macaroon Lotion, and Pomegranate Creme Bubble Bath... and boy does that bubble bath know how to bubble it up! My girls were so excited when they saw the bath full of bubbles. Tubby Todd sure knows how to make a real bubble bath. I like that the bubbles go big and then don't stay around for too long. There are no bubbles at the end of the bath to try and wash down the drain or wait to pop. And when we put the lotion on our little girls we could instantly feel the extra love and quality that was put into it. The Raspberry Macaroon Scented Lotion has that extra rich feeling and texture to it. A little Tubby Todd lotion goes a long way so the bottle will last a while. Happy skin makes happy babies and mama's... now who is going to clean up all this water on my bathroom floor? I think I need a maid. Below is a Pinterest friendly image for you to share with your friends and family or save for later. Remember Sharing is Caring! What do you use to battle the baby dry skin?